The Shape of Water took home four statuettes on Oscar night 2018, including for Best Film. Meanwhile, another battle shapes up, this time in the court room. 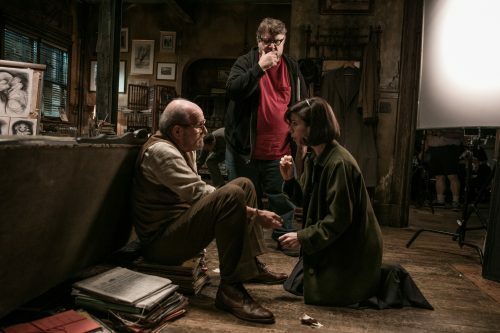 The estate of Pulitzer Prize winning playwright Paul Zindel (now deceased) has commenced copyright infringement proceedings in California against the makers of The Shape of Water, including Guillermo del Toro and Daniel Kraus. According to the Complaint, Paul Zindel authored the science fiction play Let Me Hear You Whisper in about 1969. The play was then edited into an abridged version that was broadcast on television in 1969, and then again in 1990 on the A&E Network. Like The Shape of Water, the play centres on a lonely female janitor who works the night shift at a secret scientific laboratory facility. Inside one of the laboratories she discovers an aquatic creature of advanced intelligence confined to a glass tank and begins a loving relationship with the creature. When she learns that authorities at the laboratory plan to kill the creature via “vivisection”, she sneaks the creature out of the lab in a laundry cart, and releases him at a dock on an urban river which feeds into the ocean, where he will finally be free. “Quick Google search indicates that I am not the only one to see the similarity between this film and the @paulzindel play. #TheShapeofWater”. “Is it just me or des the Del Toro ‘The Shape of Water’ trailer seem way too similar to the play ‘Let Me Hear You Whisper’ by Paul Zindel”. However, for the reasons explained below, inspiration and even a degree of derivation, does not mean that a disgruntled plaintiff can be guaranteed a million-dollar payday. The test for copyright infringement is essentially the same in many parts of the world, even though the legislative language might differ. In short, the plaintiff must prove that (a) there has been copying; and (b) that a substantial part of the original work has been reproduced. The test for ‘substantial part’ is a qualitative test, and not necessarily quantitative (although the amount taken can be important). Because of the requirement of copying, even a close level of similarity will not lead to infringement if the work in suit has been independently derived. If there is copying, it need not be conscious; it can be sub-conscious. The court will therefore tend to assess copying by looking at objective factors such as whether an alleged copier had access to the original work. Whilst not explicit from the Complaint, the comparison is between the respective dramatic works (i.e. scenes / presentation / mood). There is less focus on words (although there is some). However, this does not appear to be a claim alleging copying of an original literary work (i.e. the script). It is hard for plaintiffs to win copyright infringement cases. This case appears to face many of the typical challenges. The first issue concerns lack of precision. It is very important to identify the work said to have been copied. Here there are three potential candidates, each of them presumably different to a degree: first, the original play; secondly, the 1969 adapted work, and thirdly the 1990 A&E Network adapted work. The Complaint then proceeds to mix them up. That is, the detailed comparison of similarities in the Complaint derives from the original play. However, it is said to be the 1990 adapted work that was copied (presumably sub-consciously). According to the Complaint, it was 1990 when Kraus was 15, and so Kraus could only have been referring to the A&E Network adaptation. If this theory is to be pursued, the similarities should be tested against the 1990 adapted work (because this is what was allegedly copied), not the original play. That this has not happened rather suggests that there might be a problem. For example, Paul Zindel’s estate may not own copyright in the 1990 adapted work; all rights may have been assigned to the A&E Network production. The second issue is that even if one accepts that Daniel Kraus subconsciously copied the fairy tale idea that so appealed to del Toro, this only suggests inspiration (which is legally acceptable), not copyright infringement (which is legally unacceptable). Copyright does not protect ideas. Let’s repeat that again: copyright does not protect ideas. Copyright only protects the expression of an idea, namely, the manner in which the concept has been worked out on the screen. That is why it is so important to identify the relevant works and to assess the similarities and differences in their respective presentation. It is important to discard those elements that might be common to the genre, and therefore not the product of copying. Here, the genre is monster movies, which Fox Searchlight has certainly not concealed when promoting the film. The publicity material for The Shape of Water “revisits and reinvigorates the enduring allure of the monster movie playing upon our most primal emotions of fear, abandonment and danger but also curiosity, awe and desire”. 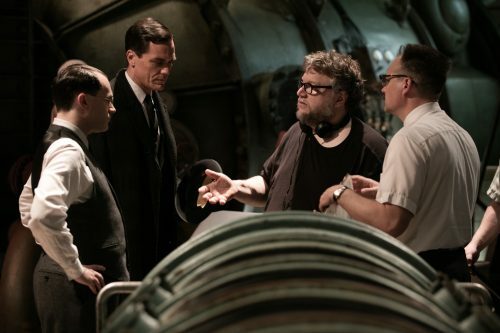 The influence of classic Universal Studios monsters on del Toro is explicitly referred to, from the Wolf Man, Frankenstein, Dracula and the Creature of the Black Lagoon. The Creature of the Black Lagoon (1954) is, in fact, given special prominence as at once “dangerous and forlorn, reviled and yearning”. A blend of emotional human dram with fantasy and science fiction. A mood that is dreamy and oftentimes surreal, with fantasy sequences inside the main character’s mind juxtaposed against real-world suspense. The story indicts mankind’s cruelty toward other living creatures in the name of scientific “progress” and sends a touching message that love and empathy can overcome all odds and lead to magical discoveries. The attempted use of a hypodermic syringe by a scientist preparing to kill the creature. If one accepts that Kraus did copy the idea of ‘a cleaning woman working in a government facility and secretly befriending an amphibious man being held captive as a specimen and how she decides to liberate him’, then many of the subsequent similarities may just be the inevitable out-workings of the fairy tale idea that so appealed to del Toro. The key setting is a secret laboratory facility that conducts experiments for military use (inevitable from the idea). The main character is an unmarried, introverted cleaning woman who lives alone in an apartment (given the genre and the story – befriending an amphibious man – it’s hard to see how this would work if the character was happily married with 10 children in the ‘burbs). The main character works the graveyard shift as one of the janitors (when most cleaning occurs). The action in the laboratory facility takes place between approximately midnight and dawn (ditto, also consider the monster genre – film noire and sunny days do not tend to go together). The action in the facility largely takes place in the laboratory, the hallway leading to the laboratory, a locker room for the custodial staff, and the service elevator used by Elisa and laboratory personnel (inevitable from the story). The main character starts her night shift in an impersonal locker room at the lab facility where she hangs her coat and gathers her equipment (where else would she start her night shift?). At the lab facility cleaning women like Elisa and Zelda are treated condescendingly as the lowest-ranking employees (well, they are hardly likely to be revered). The main character gets down on her hands and knees and cleans gum off the floor (not unusual for a cleaner). In the movie the creature is an amphibious man; in the play it is a dolphin (the Complaint tries to get around this by quoting the visual effects supervisor who described the creature in The Shape of Water as “Michael Phelps mixed with a dolphin”). Elisa in the movie is mute, whereas Helen from the play talks. A pivotal scene involves Elisa bonding with the creature by dancing to music mopping the floor, whereas in the play she is scrubbing the floor to the rhythm of music. Elisa has a sensual relationship with the creature in the movie (e.g. “Elisa embraces the creature behind a shower curtain”), which is not the case in the play. Are the remaining similarities sufficient to lead to a finding of substantial reproduction? Important similarities relied on by the plaintiff are highlighted in bold italics in the Complaint . Many of those have been dealt with above and fail to convince. Others may be more important. The most striking similarity concerns the use of a laundry cart by the main character to save the aquatic creature. However, if one accepts that this can only have happened via copying, is this sufficient to amount to ‘substantial reproduction’? It follows from the above that I am not convinced, applying general principles of copyright law to the Complaint, that the makers of The Shape of Water have a great deal to fear from the Complaint. As a general caveat though, much can change during the deposition and cross-examination process should this matter go to trial. Why not consider the Complaint and make up your own mind? It is available to download on Scribd.com.